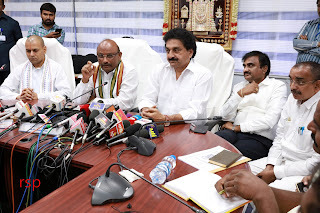 Tirumala, 5 June 2018: The TTD Board has made some important resolutions during its board Meeting held at Annamaiah Bhavan in Tirumala on Tuesday under the Chairmanship of P Sudhakar Yadav. * Estimated expenditure to construct Sri Venkateswara Swamy temples in Dalitwadas, Girijanawadas, and Fisherman communities is enhanced from Rs.8 Lakhs to Rs.10Lakhs. * Vedapathashala to commence in Nagalapuram temple and to take up continuous Veda Parayanam. 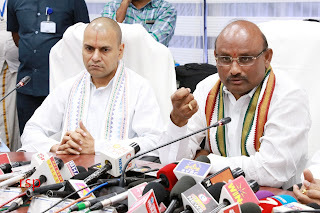 * To set up Sri Balaji Veda Pariposhana Trust in SV Vedic University. TTD will provide all privileges to the donors. * Rs.4.84cr released to purchase medicines and other surgical equipment in TTD hospitals. * Green signal to sanction 19.15acres to Science Museum and 50.96acres to …Science City to be set up by Central and State Governments. * To allot 25 acres of land to TATA Trust Cancer Hospital on lease basis at Rs.1lakh per acre per year for a period of 33years. * To set up video wall in common command control room at Rs.1.60cr. The work has been allotted to Matrix Securities and Services. 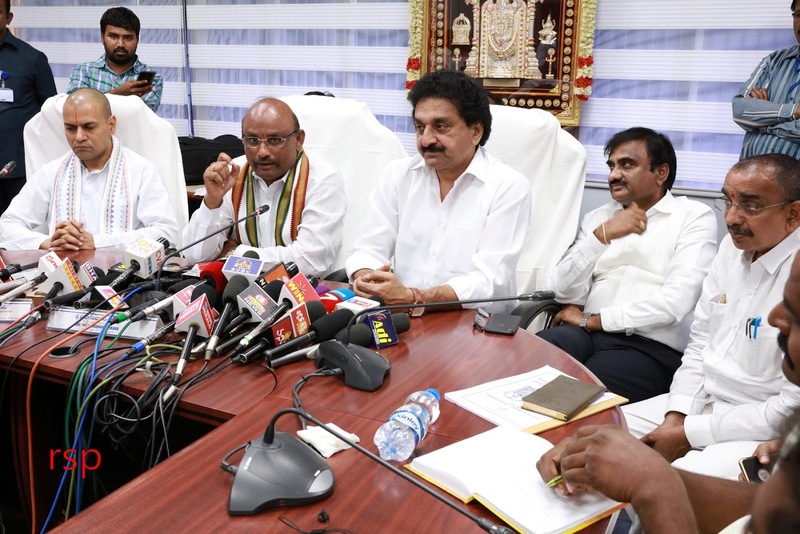 * Board has decided to purchase ghee in tankers in 9:2 ratio which includes purchases from across the nation and from the state of AP respectively to encourage local diary vendors. * Sanction of amount towards training of priests in Agamas and tradition on June 9 and 10 in Sri Venkateswara Swamy temple at Pittsburgh in USA. * The board has sent a proposal to the government for the promotion of 29 engineering muzdoors as head muzdoors. 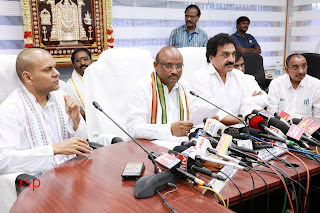 * To transport cell phone and luggage from Srivari Mettu to Tirumala, TTD has outsourced the mechanism to Digital India Pvt.Ltd for a period of three years. * Like in Dharmagiri Vedapathashala, Rs.3lakhs will be deposited on each Student taking up Vedic course in SV Vedic University.